Figure 46. 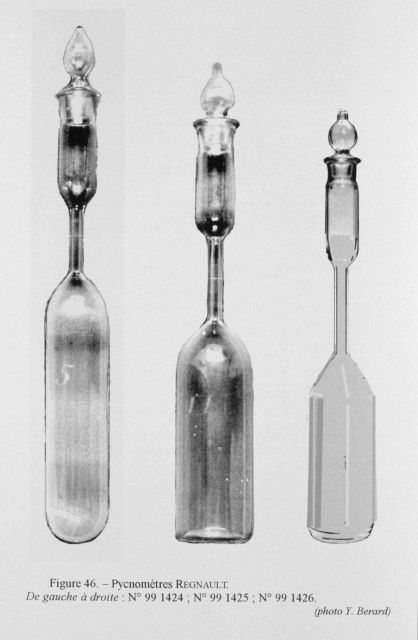 Regnault pycnometers, instruments first mentioned by the physicist Henri-Victor Regnault, a professor at the College of France, in 1843. These instruments were used to measure the density of liquids which he was studying to obtain their specific heat.